It’s a dreaded situation for all beginner (and even seasoned) bloggers. You want to write a post, and are sitting in front of a blank page. Suddenly your mind looks just the same – blank. Your inspiration just stopped, and you feel at a loss. We’ve all been there. The good news is that there are some surefire ways of writing quality content in record time. I want to share with you my techniques for writing a 1,000+ words article in 90 minutes or less. To show you that I actually do what I preach, I’ve written the first draft of this article in 5 minutes, the second draft (nearly publishable) in 45 minutes, and the final version in 70 minutes. Editing took about 15 minutes and looking up a nice photo added another 5 minutes. One of the keys to being able to tap into the fountain of inspiration is to not leave it by chance. This key consists of preparation and structure. Inspiration, preparation and structure go hand in hand very successfully. Your mind works best, when you allow it to focus on one task at a time. Remove clutter. A structured working space mirrors a structured working mind. Remove any distractions. If you find you are looking at your phone, turn it off. If you are looking at a magazine, put it into another room. Check out a minimalist approach for your writing space. Minimalism doesn’t mean cold and uncomfortable. Your room should be comfortable, but with nothing that could distract you. Don’t forget to switch off your phones (use an answering machine if necessary). Tell people in your house to not disturb you. Make sure they understand the importance of this time. Make sure your computer is running stable. If you happen to have a mac, great – your computer might already be stable. But even with a windows machine you must make sure, that it is running smooth and secure. Nothing will kill your motivation faster than writing for an hour and then having a machine crash and losing all your hard works. Save early, save often. Remember, first thing to do after you opened a new file is to save it, and then save early, save often. Use a keyboard shortcut (Command-S on a Mac or Control-S on a Windows Machine). Clear up your desktop. You should also make your desktop as distraction-free as possible. Remove all clutter here as well. Think about a minimalist PC. A great guide for mac users, who also would like some minimalism power is macminimalist. Create one folder. This is essential! Having a specific location allows your brain to be free from remembering, where you’ve put that brilliant idea or nice picture. I have a folder on my desktop called “Drafts”. In this folder, I’ll put all files I use for an article (my article text file, any notes, any links that I save, any photos I might use, etc.). Having one folder allows you to focus on the task and not on searching. Once I have finished and published an article, I move the used files in another folder called “Finished”. You can of course also delete them, since the published files are on the internet. But I prefer backups. Pre-write headlines. I collect all headlines, that come to my mind in a single text file called “headlines.txt”. Although I might not use it for my next blog post, collecting them is a great way to go for inspiration. What I also do is to create the headlines for my next 2-3 blog posts in advance. I even pick them, before I write anything about them. This allows my subconscious mind to work on it and stumble across links, articles, photos, without me needing to think about it. This is a powerful technique. So if I have my headline for the article already in a swipe file, I pick that one out and put it on top of the article file in my text editor. Collect & research. if you need to research, you should do it upfront and should put your notes and links also in the “Drafts”-Folder. Preparing yourself is just as vital as is preparing your environment. You must be able to unclutter your brain for a while (just as you uncluttered your house). Make some quick notes (on paper or at least mental) what is fascinating about your topic. Creating fascination is one of the best ways to create focus on anything you want to achieve. Picture in your mind, how you would feel, once you have the article finished and published. Feel the satisfaction now and boil it up, so you can hardly hold yourself back from starting on it. Now you’ve prepared yourself. You are sitting in a distraction free environment, with a super clean, stable computer and in front of an empty text document. How do you get those 1,000+ words onto it? It looks hard – but don’t worry, I’ll show you surefire ways to never get trapped by writer’s blog again. 2.1 Forget About Starting Your Story at the Beginning. Countless authors never started a book, simply because they couldn’t figure out the first sentence. Trust me, a good beginning is sometimes the hardest part of writing an article. But you make it 1,000% harder, if you try to write it into empty space. The function of your first paragraphs is to be a bridge for the reader from your headline to your main content. And it is much harder to build a bridge, if one bank is missing. Therefore, don’t force yourself to write the first sentences. Let them come to you later, when you’ve already written your main content. This took me about 5 minutes. You see the headline and these keywords, were already the first draft of the article. That was what I saved first. There are some great tools for you to come up with key words and key concepts. Mind Mapping One of the best ways to get into the flow is to have a quick brainstorm. Just throwing some keywords into your mind and coming up with some associations is a great way to start with a basic structure draft. A great tool to use for this is the concept of mind mapping created by Tony Buzan. Keywords Association and Key Concepts List This is even more minimalist than mind mapping. It is the approach I used for this article. I just write down what comes to my mind, and let my mind create associations to the headline and the general idea of the article. Note, that I might not use all the keywords in the article. Drawing Devices Draw some concepts, draw structures. I often use a traditional flip chart or doodle something on a blank piece of paper. Writing on a flip chart allows me to look at it from over the table, and it also allows me to get up and add some more things. Hint: Sometimes just getting up and moving your body a bit can release a writing block and inject new inspiration into your creative flow. With all these tools it is important not to censor yourself at this stage. Just write down what comes to your mind. I would use about 5-10 minutes as a maximum for this stage. Now you have around 10-20 keywords or key concepts. But look closely at them. It maybe that you already have a structure. Try to come up with a rough structure for your article at this point. You see most articles aren’t read in the way you would read a novel. Most articles are first scanned by your readers. Therefore, having a good structure, using lists, headings and subheadings allows the reader not only to scan your content and dive into whatever interests him, it also allows you to write your content much faster. Because once you have a rough structure, you can focus your attention on writing just the content for one point of your structure. For instance: I wrote down the keyword “mind mapping”. So I now only focus on writing some lines about this specific part. Maybe if it is a bigger part of the article, I also write some more keywords, focusing on mind mapping and then add meat to these keywords. You see, when you structure your article in an early stage, you won’t be overwhelmed. Break your task down into small steps and smaller sub-steps. Hint: If I get stuck with a part of an article, I use the Keyword Association Method from above for this part of the article. I quickly write down all keywords that come to my mind for that part of the article for about 1 minute. This makes completing the rest is easy. Now it’s time to form it into a smooth article. Read your entire article. Is there anything unclear? What could you write better? Read it aloud and listen to yourself. This will make you aware of sentences that don’t sound good. Is there something missing? Do you need to add any sentences to form a bridge between concepts? Create an intro. If you haven’t already done so, write an intro that bridges from your headline to your first paragraph. Do a spell and grammar check. Check for readability and scan-ability Is your article structured well? Does it have lots of lists and a good heading structure? Are important points bold? Can you get the gist of the article by scanning it? The good thing about starting with some keywords is, that it allows you also to find great pictures that go along well with your message. Look up photos at istockphoto or flickr using some of the keywords from your headline and your main headings. Hint: Very often you’ll paint pictures or use stories in your article to transport your message. Find the keywords in these stories, and you know what to look for on flickr or istockphoto. Publish it. Send it to the world. And enjoy fame and stardom – or at least enjoy that some people will find your article interesting, and that you could help them with a problem. Great and Amazing information and its user friendly too..
nice… thank you so much..
@ Darni: There is no need to do an outline, if your mind is in the flow state. There is no need to change your approach, as long as it is working for me. I just write down some articles from start to finish, while others come to me more in chunks of ideas. Then I need to outline and structure it. There is no better system than the one that works for you! And that is true for everyone. Some tips are going to my heart.Such as”Make sure your computer is running stable.” Some times my computer system halts when I’m writing.And I have no mood to write again after I restart my computer.Some times I even want to throw my computer out of window,hehe. But I have no habit to write an outline to my articles. I just write it down when some thing comes to my mind.I think this works for me best. I like it! Thanks, Patrick. Here is an interesting approach to use punctuation while talking. A classical Victor Borge interpretation. well thanks for pointing out to me another area to improve upon. I’ll dive into english punctuation soon. I should have known! I teach English academic writing in Germany and decided against recommending your post especially because the commas were in German places and not English ones! However, if this is your second language, it’s very good indeed. Keep up the good work. thank you for your constructive feedback. This is definitely an area of improvement for me. I do automated and manual spell checking and grammar checking. Since english is only my secondary language somehow the ingrained rules of german punctuation, which are different than english punctuation rules, sometimes slip in. I’ll have a lookout for that in the future. I really like criticism that is detailed and helpful – since it is always helpful for increasing our understanding in a specific area. I’d like to take the middle ground here. The content is useful and interesting – so much so that I would have liked to recommend it to my academic writing students. Then I noticed the commas, which often occur in your text, Patrick, when none is needed (around defining relative clauses, for example). You yourself advise a spelling and grammar check; it would be good to check punctuation, too. Anica, it’s not fair to say something is bad in some way without specifying exactly what is wrong and why it disturbs you. @ Kaushik: That is also a very useful technique. You know teaching someone is actually the best method to really learn and master anything. Your technique resembles this fact. If you could talk about a topic, you have to understand it. This makes writing about it much easier. And of course it is also a good idea sometimes to reread your article one or more days later. Especially if you consider it an important article which you might add some pieces to, after a good nights sleep and some more input from your subconscious. @ Oceanlu: These methods work just as well with essays and other college related working material. Our brain doesn’t work in a linear fashion, but through associations. Therefore forcing ourselves into a paradigm of linear writing is working against our nature and brain structure. Our brain loves question? And every open topic, keyword or association is a question waiting for an answer. Our brain wants to fill open gaps. So presenting it some gaps sends it into gap-solving mode. It is what it does best. So work with your brain, not against it. These methods will help you finish your college papers in record time just as well. Should this method work for college works, like short essays, school days are surely to be better I believe. The most valuable technique in my experience is to write from awareness, and write as if I’m talking to someone.I can write an article of this size in 90 minutes, but I’ve found it works best if I let it sit an re-visit it several times. It is after all about quality. Thanks for some very valuable pointers. @ Mike Consol: I agree, we should never let time rule over quality. That is the ideal world of course. Well, sometimes we need to finish something for a given deathline. But that is not the point of this article. It is not about speed at all, it is about getting out of a stuck state of mind into a flow state. From this state, speed is of no interest and therefore the writing will be speedy. It is not about forcing speediness it is about speed coming to you automatically through the flow state. The best things any writer will ever produce will come very quickly. But we will produce many bad pieces of writing if we make speed paramount at the expense of quality. Well sometimes, when you are in a real stuck state, it is important to get you out of the thinking mode into the writing mode. To do so, you just start to type, even if you have no clue what about, you just write about that. You might just need 2-3 minutes of writing to get you into the flow. Sometimes doing this meta-writing can bring out some of the best ideas. Trust, that your subconscious can always come with brilliant ideas. You just need to unleash it and get your conscious worrying out of the way. Again Nike’s slogan is sometimes just fitting. Just do it … and it will take care of itself. I find that feeling like I need to begin at the beginning makes my essay writing start off slow. I can sit forever sitting in front of a blank screen trying to figure out how to start. I’ll try using your tips next time that happens. @ Jesse: Don’t worry about the 90 minutes or 1,000 words. The same strategies could be easily used for shorter posts as well. Since for short posts you only might need 1 or 2 minutes of keywords, you can be ready even faster. @ Hilary: Yes using a timer could also be a good help for some people. Overall it is important to find out, what works for YOU. All great guidelines are worthless that don’t work for you, no matter how brilliantly they are and no matter how many other people benefit from them. Hi Patrick .. thanks – that’s really well set out: it is so important to sit down and be uncluttered. We will all find our own way of doing things – depending on our type of blog and the subjects we’re writing about – but your ideas are so important to guide us. Timing can help – tie us down to writing for 20 minutes .. and using a timer to ‘monitor’ our other activities .. I think this is a great process overall, but both 90 minutes and 1000 words is a lot for a blog. I tend to write posts in batches, writing 5 or even 10 at a time, then going through them all the week before they’re published and editing/proofreading them. I like this idea for pillar posts, though, and will most likely come back to it. Bookmarked. @ Monica: Decluttering isn’t included in the 90 minutes. But once you have it done, it doesn’t take nearly as much effort to maintain it. @ Triona: I would definitely advise you to write offline. And maybe even to shut of the internet if it disturbs you to much. And get a simple text editor so you don’t have to fumble with word or something as complicated. Here is a link to a short description of the tools I use for blogging on my mac. This is terrific. I love the keywords associations and drawing devices. I use the former sometimes but not often the latter. I’m looking forward to trying it for my next article! Oh my, I could spend 90 minutes alone on decluttering my desk. Nevermind decluttering my mac – that’s a weekend project. Great guidelines, though. I do find the “create a structure and fill in the gaps” approach to work pretty well for speedy writing. @ Bryant: That is exactly how you should use methods and systems; incorporate them, adapt them and make them your own version. Nothing more stupid than following a system to the T for years, when your life might be a little different than that of the inventor. @ Josh & Rachel: Rachel that is good advice. During edit mode you should look out for “academic terms overuse”. Also try to think you need to explain it to children (or teenagers, or whatever) and they would give you that certain empty look with that sound “Hmmm” whenever you get to abstract. And try to incorporate more storytelling into your writing. The greatest teachers always used stories and painted pictures to make even the most complicated matters understandable. Jesus was a master of that; and so was Richard Feynman. @ Catherine Franz: Everyone has their rhythms and ways to do things. Do whatever works for you. Sitting for 4-5 hours and writing is not my style. I guess there are no hard rules in blogging (and in life). So it all depends on your personality, your context, your readers and your topics. For some topics and readerships short article or creating a series works better; for others breaking up the line of thought would be distracting. But after 6 years you surely have found out your style of writing as well as what made your readers tick. So stick with it. @ Allessandro Cosimetti: Yes, in an office or a cubicle some of these steps could be harder. But don’t think of meditation as this long, big thing that takes you 30 minutes. Closing the eyes, taking a deep breath in and out, letting go all muscle tension. Boom – that state now takes about 15 seconds for me to get there. And I don’t have to close my eyes for that. I just use a soft gaze. And I can make a mini-meditation, that only lasts for 1-2 minutes. I can even do that in an office. Even in a cubicle you can daydream, so then you can turn this into a more focused state too, without others noticing. Just takes some practice. But being able to close a door is definitely helpful. @ John Samuel: It depends on the situation and topic. It is a strategy, that I might (or might not) use. Some shorter posts I just write down – from beginning to end, without doing keywords, etc. But for longer posts or with several key points, I found these steps working fine for me. Like the way you laid this out; however, honestly if it took me this long to write a single post I’d die. I take myself to the library once a month and in 4-5 hours write all the posts for 2 blogs for the whole month. On occasion, I do extra posts when the muse bites my assets in between this time; again, however, I need to get them done in 15 minutes. I’ve learned since doing my blogs for 6 years now that shorter blog posts work better for my readers. This has helped me out tremendously. Like your post here. I would have broken it into a series — example, part 1 and 2, or 1,2,3, etc. It helps the reader digest the information easier and keeps them coming back. And it helps me as a blogger. Sounds like something to pick up on in the edit Josh! I think the editing process is as important as the initial creation – especially if you know you have some ‘bad’ habits. Some fine pointers here which I will incorporate. I think my biggest issue are the distractions that seem to arise when I am writing. I think this weekend I am headed to a campground in the woods where I plan to spend a full day doing nothing but writing. The change of venue really seems to help. I’ve used mind mapping too but of late have melded it into a esoteric device combining mapping, keywords and drawing. It’s my own system with my own symbols and abbreviations and it really seems effective for me. @Rachel: Go for it. Collecting headlines, ideas, weblinks, articles, pictures in a special file or folder is a great way for your subconscious to relax and work on your topics, even when you are not writing. And having them handy when you need them is such a good thing to keep your inspiration up, since nothing is more frustrating to a good creative flow, than searching around for the things you need in that moment. With the approach of NaNoWriMo I’ve been thinking a lot about how I structure my work. I love the way you’ve laid out this post – it was so easy to scan through! I think I’ll be trying the headline gathering too. It’s a useful way of recording inspiration when you’re in a hurry – then it’s ready and waiting when you have time to expand the ideas properly. @Beth: Good to hear that you have a guest post. Hope this will be one of many more to come, since now you have the tools to write them much quicker. Patrick, I am so excited to read this! I am using it this morning as I suddenly have been offered an opportunity to write a guest post. I have been trying to gather my thoughts quickly. Your suggestions are very logical, yet not inhibiting. Thank you for your clarity and the ability to articulate it. i have already saved this article for future reference as well. It’s a keeper. @Kat Eden: It is always best and the easiest way to write about something you’re truly interested (or even fascinated) in. It is the same with any kind of work. I would avoid writing about (or working on) something that I don’t care about. But sometimes you need to do so. One technique I used, to get myself interested in a topic that I don’t care about is to redirect my focus to what is or could be interesting about this topic. I really ask myself these questions, and write down some keywords from those answers. These keywords can become great triggers for your article. @ Anica – what a strange and unnecessary comment. @ Patrick – great ideas there, thanks! I can’t say I’d go to the trouble of using all of them every time (although I probably should take more time to de-clutter! ), but they certainly each have their place in creating the right mindset for fast writing. Of all the tricks and techniques I’ve tried for writing fast (and well), the best has certainly been learning to write about something I’m truly interested in. Hopefully to the point of being passionate about. And those ideas tend to turn into my best posts as well, unlike the forced out prose of a supposedly good idea that I actually don’t really care about. This article sounds like it was written by an illiterate 12-year-old. @Tom Holowka: Yes, brain-dumping like that can get you really fast into the writing mood. You can exchange the modes continuously. Do keywords, write details, then do some keywords for a paragraph or sub-part. Try it out and adapt it to your liking. @AMI: I’m sure you can use it as well for non-fiction. Looking forward for your novel after NaNoWriMo. I really like the keyword association idea, I’m totally gonna use that. It’s like a tightly focused and controlled info dump. sorry – I meant Patrick! Thanks for the hints Leo. 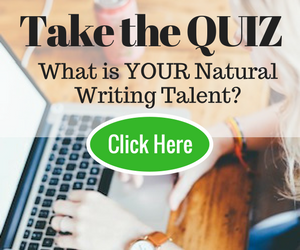 This is just in time for NaNoWriMo – even though you target non-fiction writing, a lot of the hints work well for fiction writing as well.